Compact and sophisticated liquid-cooled DOHC 249 cc single-cylinder four-stroke engine produces smooth and consistent torque at low rpm, plus excellent high-rpm performance. 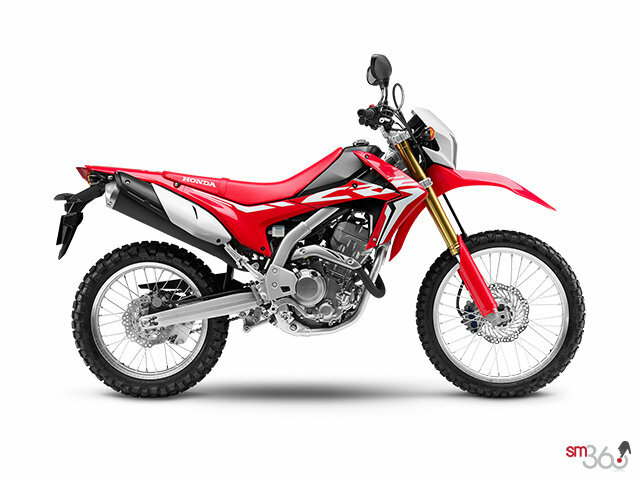 The engine's wide spread of power makes the CRF250L easy and confidence-inspiring to ride, while also returning impressive fuel economy. 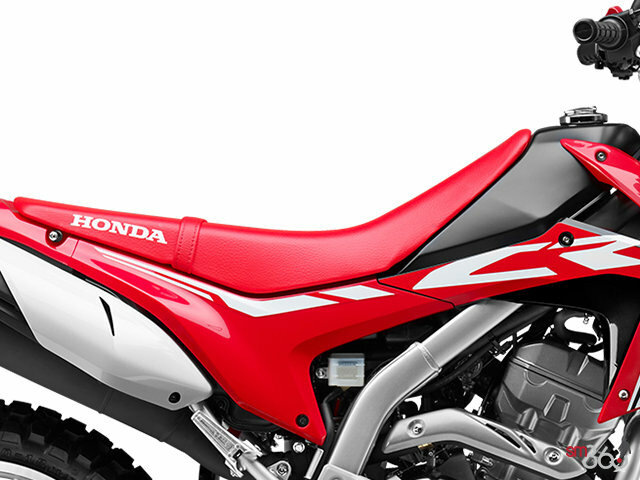 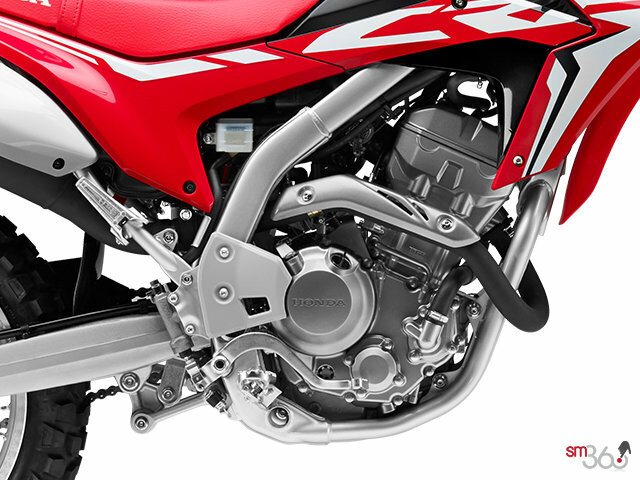 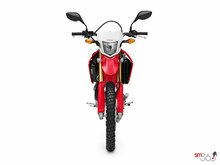 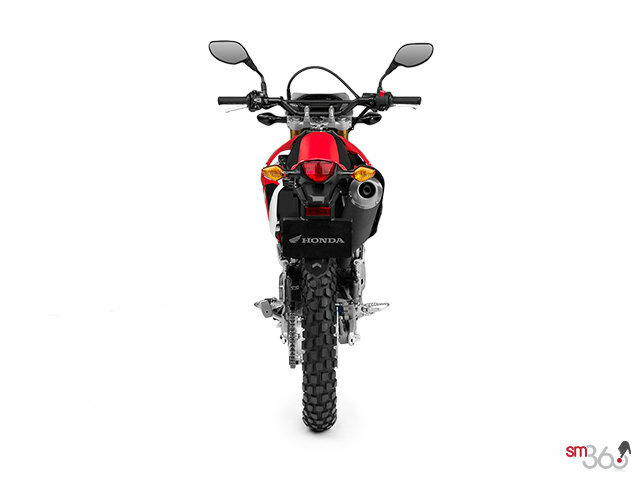 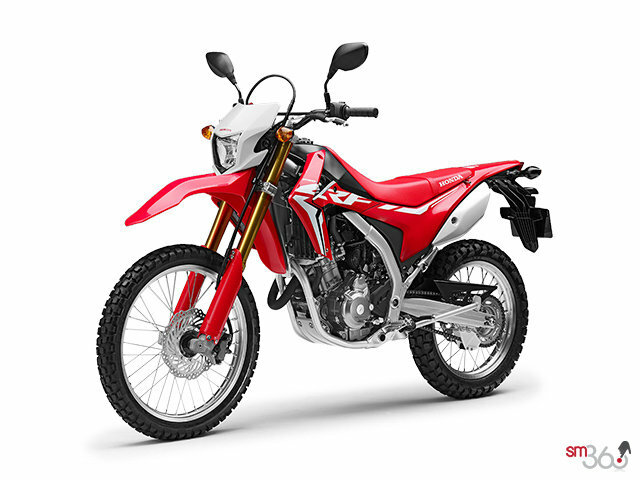 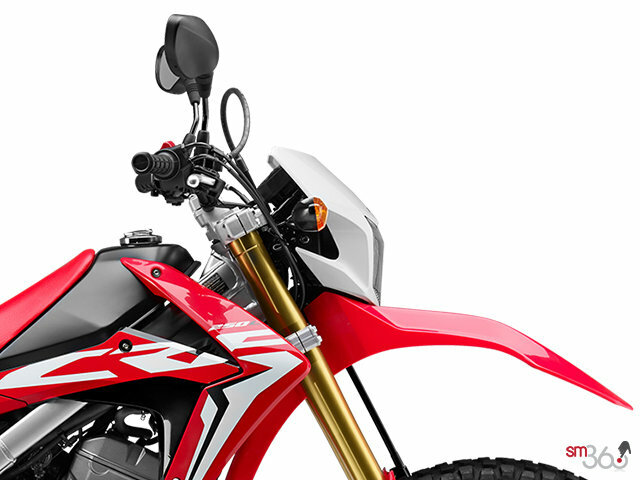 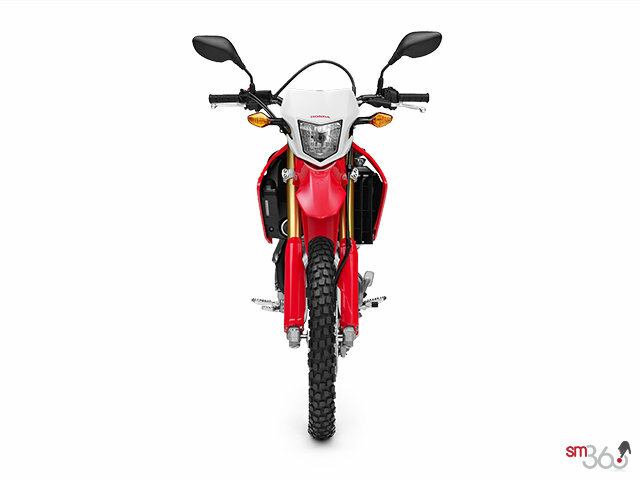 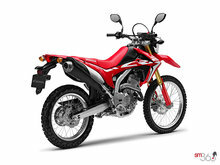 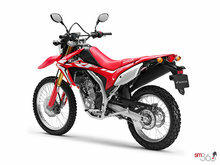 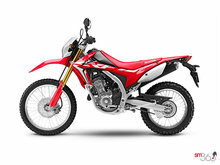 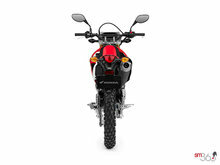 The engine's intake and exhaust systems are engineered to boost horsepower while also increasing torque at low rpm, all without changing the CRF250L's easy-to-ride nature. The CRF250L's Programmed Fuel Injection (PGM-FI) system continuously monitors several variables to ensure the correct fuel mixture, thereby delivering optimal performance and remarkably crisp throttle response over a wide range of operating conditions. A large throttle body and a long air-intake tube contribute to the engine's significant power. 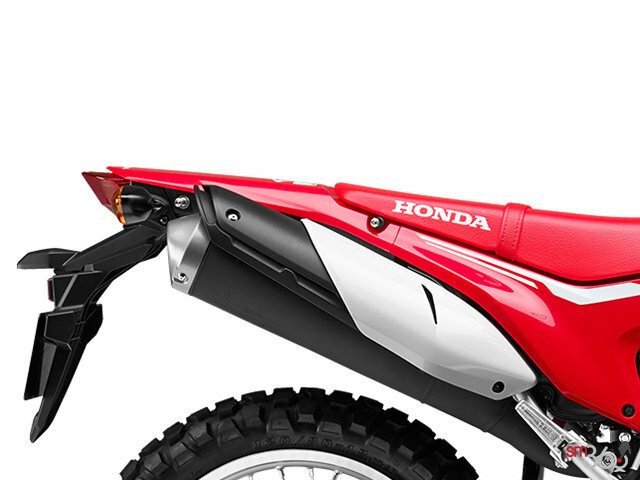 The exhaust system's header pipe features a tapered design shape, altering the internal structure of the muffler. Engineers were able to balance overall power and torque while also reducing weight. 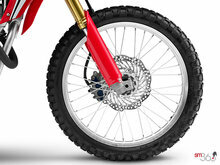 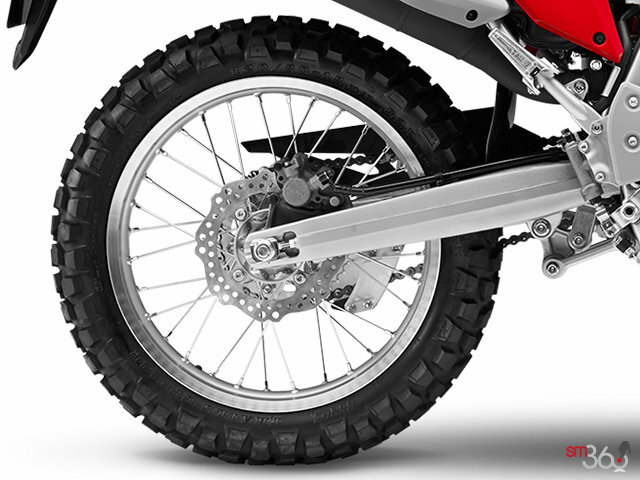 Pro-Link® single-shock rear suspension is designed for both great rider comfort and great traction while maintaining the ample travel that helps make the CRF250L capable on the trail.